A lot of territory got covered this morning, so let’s jump in. A few items of note happened at the Council Briefing and Full Council meetings today. This morning the Council held a brief discussion, led by the Office of Intergovernmental Relations, on what the Trump administration’s “skinny budget” proposal means for Seattle. This afternoon the City Council ratified an ordinance that sets up the city to cut its ties to Wells Fargo Bank. 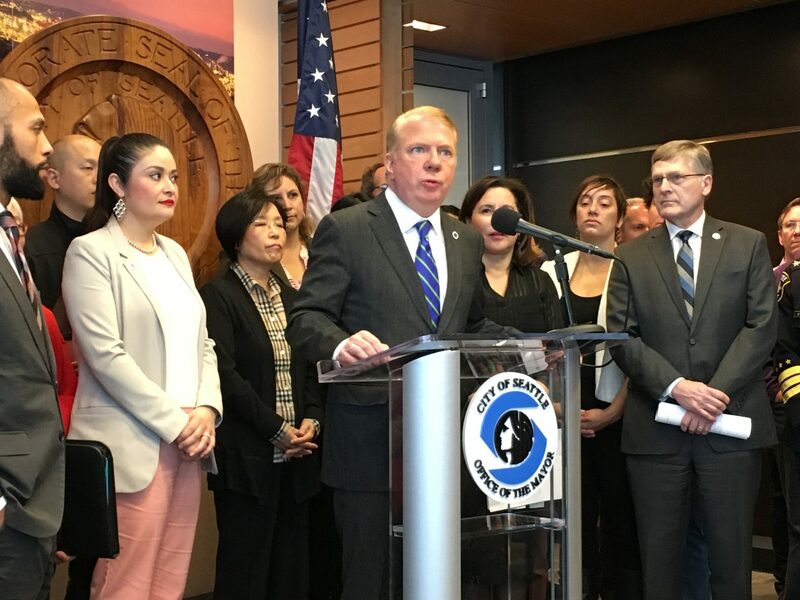 This afternoon the City Council unanimously passed a resolution that affirms Seattle’s status as a welcoming city for all, regardless of immigration status. This isn’t just a feel-good resolution; it lists a number of very specific actions and policies for the city.